Thanks for the reminder Big. I always forget that contraption. For those who are looking for Hogy Epoxy jigs in Anchovy (I was) Hogy just restocked their online invintory yesterday. 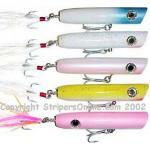 I grabbed a couple 5/8, 7/8 in Anchovy & Pink and a 1 1/4 in black silver (I'm thinking Mullet). Yes I know you do well with it. It looks great & assembeled a couple but always forget to try it. Got a two day trip planned for 9/21 & 22. Depending of the progress of the mullet and presence of predators I may give it a shot. It's my go to on OC beaches for fluke........attach a 4" Gulp Mullet....low & slow. Do you literally drag it steadily across the bottom, or swim it just over the bottom like a bucktail? Do you add any action? Teaser above? Cast it out, let her sink then retrieve at a moderate to slow speed like you would a spinner or bucktail....not drag it.....the gulp on the bait holder hook as it is attached to the small split ring and swivel will flutter on it's own in the current.....no teaser....I pause it in the incoming waves that lift it up for max flutter action......make sure your using the 0.05 oz. with the flat / tapered sides and not the full diamond as I have seen those also.....use them when sand eels are present. Can't wait to toss em! I mostly use for bonito and albies but while drifting and waiting for them I will vertically jig the bottom. Caught stripers, blues,tog, sea bass, scup,fluke, and even a few tropical visitors(Jack's and banded rudderfish). So I would pretty much say they catch anything. I used the Hogy Epoxy jig this past fall during the mullet run. 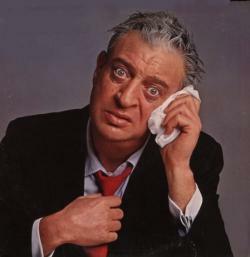 Sometimes, e.g. sun-up and sun-set, the blues were crashing mullet on the surface. Other times they would still be there, but a little further out and sort of lying dormant on the bottom. That's when the epoxy jig shined. W/ light set up, could still launch them and swim them low and slow.